Neck: The curve distributes the force throughout the neck which eliminates stress on the corners - no gussets. Deck: Low profile for easy access ( aprox 34.5") pressure treated boards are capped at each end for the deck for durability and he steps are retractable. 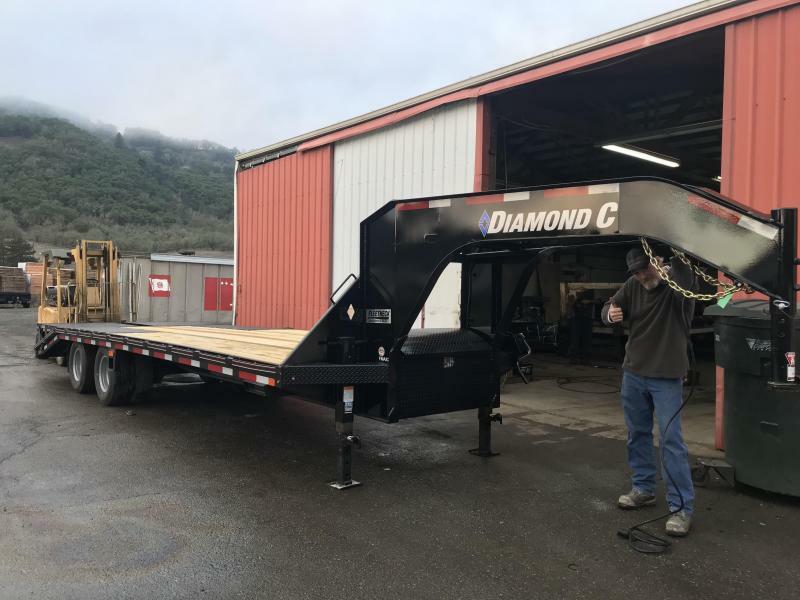 Frame: Diamond C engineered the beams, optimize them, and build them for each trailer configuration just like a semi trailer manufactures have been for decades. The I-Beam frames are taller, stronger, and lighter than others. Standard steel bends are 36ksi, but the steel DIAMOND C is using is rated at 50ksi. The Box: It's big and roomy. The lid is curved for added rigidity and gas spring assisted for easy operation. 44" Wide ramps for MAX versatility. 50 ksi steel ramp frames x4 frames per ramp for MAX strength. Heavy Duty spring loaded for easy lifting from deck and from ground.